She has been a campaigner for all her adult life, fighting for better access, more independent living support services and equal rights for disabled people. The content of the NDACA story has been enriched by Jane’s decision to deposit one of our most important political documents — a copy of the Disability Discrimination Act of 1995. This was the first statute to make it unlawful for disabled people to be discriminated against in the UK, and, since the Equality Act of 2010 has subsumed disability as one of nine other grounds for discrimination, the DDA’s connection to our patron Baroness Campbell, and its place in our archive, is particularly significant. moments of a 15-year campaign for anti-discrimination legislation for disabled people — Jane was there amongst the banners and battle cries, and carries the same fighting spirit with her today, as a Peer in the House of Lords. She is just as willing to praise the British government for its proactive equality legislation as she is to lead the campaign against assisted suicide, Not Dead Yet UK. 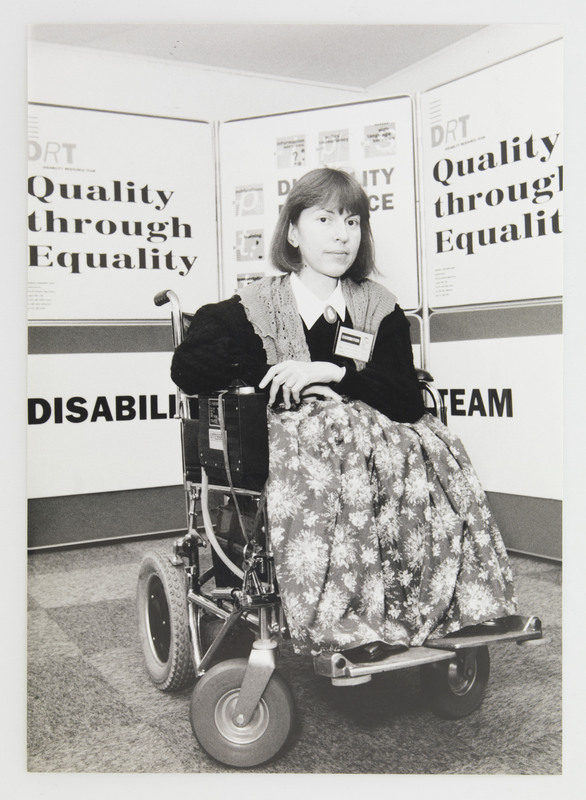 In 1996, Jane called the disabled people’s movement a jigsaw, in which disability art, disability studies and campaigning were needed for the whole picture — the heritage story of NDACA — to emerge. She is exceptionally unique for her ability to combine an incredible knowledge of the UK’s judicial system with a constant need to fight with grassroots disabled people for justice. It seems fair to say, then, that she is uniquely suited to be the Patron of our archive.